Hello there! Stumbled upon my article, have you not? Well sure, come on in and take a look. Now you may be wonderin’ why I seem to be talking differently than all those Central folk. That’s because this article is especially for Gnorbus! You might be wondering why if there’s so many neopets in all of Neopia, why pick the Gnorbu? The answer is simple: Besides all the limited edition pets, Gnorbus are the least popular neopet. Sad, isn’t it? So I wanted to make them feel special with this little piece of writing. A little bit about the Gnorbu before I begin. 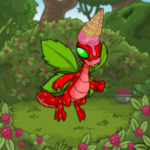 If you read their description, it says: Gnorbu are fun-loving Neopets who enjoy making others laugh. Despite its natural lack of agility, the Gnorbu’s kind heart and good-natured outlook have succeeded in making it a very popular Neopet. This is pretty much a great description of these pets. (Except the popular part...) So I got some items to help them with their laid-back, relaxing, funny lifestyle. As we all know, the Gnorbu has a legendary coat of fur. Around its head, the mane grows full and fluffy year-round. This blue brush is not afraid of any tangles! It will get your Gnorbu’s coat looking shiny and soft after only a few uses. Tangles will rule your pet's hair no longer with this handy brush. Okay, so this seems like a normal plushie to you, right? Wrong! This is an ultra plushie. You see, it is a plushie of a plushie pet. (Try sayin’ plushie pet ten times fast, I dare you.) This means it is exclusively soft. Sure, a red or yellow or cloud Gnorbu plushie is nice... but this is the real deal! Its cute little curls can withstand baby Gnorbu play time and a girl’s tea party. And how can you resist the perfect pink and cream coloring? Ahhh, now to the dessert section. (One of my favorite parts, that’s for sure.) As you finish off dinner and are looking for a tasty treat, this mint chocolate is gorgeous! It is smooth and silky, as any chocolate should be. The coloring matches the mint flavor as well. And to top it off, this is in the shape of a cute Gnorbu. So go ahead, bite in. You won’t regret it. Your precious Gnorbu not a fan of mint? Well, that’s just fine! There are more chocolate flavors to choose from. (And milk chocolate is a classic!) How can any pet not like milk chocolate? Exactly! This little guy is a sure way to stop the sweet cravings while sending a small smile to your face. You can enjoy it quickly or savor it slowly; your call. Okay, so you’ve played with your plushies and eaten your chocolate. You want to find a good time-consuming event and you want to be entertained. But you feel cozy in your house and don’t want to leave it. Problem? Nope! Just grab a book! This book, Gnorbu Explorers, is great to learn about history. It talks about the greatest Gnorbu explorers of all time. Example include: Captain Tu-Well, wait a minute! If I told you now, you’d have no reason to read the book. Goodness me, just go and read the book yourself. Every Gnorbu loves to be treated well. These clothes will do just the job! They are specially made for Gnorbus only. Both are made with the highest quality wool available to guarantee your pet will stay nice and toasty even through the bitter winter months! The jacket is pink to complement any female’s look while the cardigan captures a state of manliness. The description does a good job of summing up this potion: Once your Neopet takes a drink of this it will transform into a green Gnorbu! Well, after all this time talking about Gnorbus this seemed like a good ending item. Enjoy! So overall, thanks for reading. I really love Gnorbus (though I don’t have the pleasure of owning one myself. But who knows what the future holds?) I hope this little article informed you about Gnorbus and a little bit about them all. Thanks again! Why Florg Is Really Crying! A short visit at Coltzan's Shrine.